Satellite communications and network service provider SpeedCast International Limited has announced the appointment of David Kagan to the position of Chief Operating Officer (COO) reporting to Chief Executive Officer Pierre-Jean Beylier. 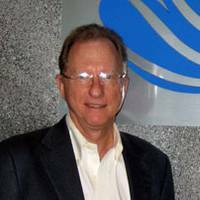 Kagan comes to SpeedCast from Globalstar, where he served as President and COO. Uniquely qualified as a result of his extensive industry experience, Kagan previously held C-level executive positions at ITC Global, Globe Wireless, Maritime Telecommunications Network (MTN), ICG Satellite Services and Norwegian Cruise Line Ltd. Kagan is expected to start in March 2017, and joins during a key period as integration activities with Harris CapRock accelerate following the completion of the acquisition on January 1, 2017. 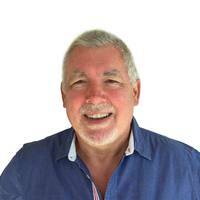 Frank Coles has been appointed as Chief Executive Officer and member of the Board of Directors for Transas Marine, a provider of equipment, software and system integration for the maritime industry. 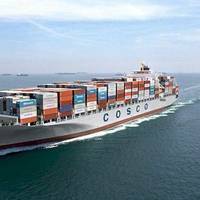 A maritime business professional, Coles brings to the position leadership experience in maritime operations and technology. Coles recently served as an advisor to a number of blue chip private equity companies on maritime opportunities. Before that, he was the President of Inmarsat Maritime, and was previously CEO of Globe Wireless. Inmarsat inform that the US$45-million deal to buy Globe Wireless, the Florida-based provider of value-added maritime communications services to the shipping market, has been finalised. 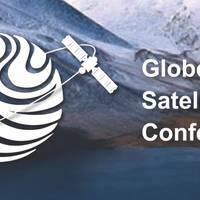 Inmarsat has confirmed that it has completed regulatory and other approvals in relation to its purchase of Globe Wireless, which included the business and substantially all of the assets of Globe Wireless, which in the twelve months ended June 30, 2013, generated revenues of US$91 million and currently has an installed customer base of over 6,000 ships. Inmarsat, a provider of global mobile satellite communications services, announced the acquisition of the business and substantially all of the assets of Globe Wireless LLC. Headquartered in Palm Bay, Florida, Globe Wireless is a leading provider of value-added maritime communications services to the shipping market. Significant operational synergies identified through immediate integration with Inmarsat’s maritime business unit, and which are expected to deliver a material improvement in profitability within the first year. Pearce highlighted a range of important strategic benefits associated with the acquisition. These included the opportunity to swiftly deliver significantly improved financial performance through synergies. 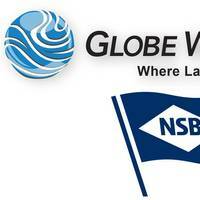 Globe Wireless, a provider of communications, operational and IT solutions to the maritime industry, said Niederelbe Schiffahrtsgesellschaft mbH & Co. KG (NSB) will standardize 85 vessels of their fleet with the Globe iFusion system. Each vessel will be equipped with a Globe i250, a backup FB150, Globe Wireless’ Fixed Multiple Lines, GlobeMobile and GlobeSSAS. With enhanced crew solutions, the Globe iFusion system enables multiple calls using Globe’s unique Digital Quality Voice (DQV) technology on both the GSM and VoIP phones allowing up tofive inbound and outbound calls over DQV. Globe Wireless and Arimar have announced that they have entered into a long-term cooperation agreement to provide Globe Wireless products and services to Italian flagged vessels. As part of this agreement, Arimar will act as the billing agent for Globe Wireless Italian flagged vessel. This collaboration will significantly enhance Globe Wireless’ offering of communication services to Italian and Mediterranean maritime customers and industry. Arimar Deep Sea Manager Marco Marcuccilli said, “Globe Wireless has been extremely successful in servicing the maritime market due to its unique products and services capabilities. We are excited to work with Globe Wireless one of the world’s leading maritime communications providers. Globe Wireless, a provider of communications, operational and IT solutions to the maritime industry, has announced Kristian Gerhard Jebsen Skipsrederi AS has selected the Dual Globe iFusion system as the communication solution for both SKS Tankers Holding AS and KGJS Cement Holding AS. 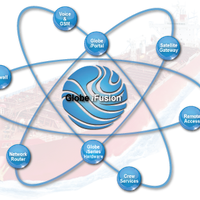 The Dual Globe iFusion solution provides full featured redundancy and reliability for vessels. The dual terminal FleetBroadband configuration allows one Globe iFusion terminal to act as the primary communication system with the secondary Globe iFusion terminal acting as a backup. Globe Wireless has announced it has reached a significant milestone, surpassing one million GSM minutes per month. Since its launch in April 2009, GlobeMobile has grown to become the world’s largest Maritime GSM network with over 20,000 active subscribers on just over 1,300 vessels. GlobeMobile is a GSM solution providing crew members voice calling and SMS capabilities at affordable rates. GlobeMobile provides complete flexibility for crew members including: standard voice calls to and from the vessel, SMS messaging and free onboard mobile-to-mobile calling. GlobeMobile can be used with Inmarsat FleetBroadband and VSAT terminals through our unique Globe Wireless built GSM network. Globe Wireless is a leading player in providing communications, operational and IT solutions to the maritime industry. Earlier this summer at Posidonia 2012 in Athens the company announced that it would launches its latest software release, R6 for Globe iFusion in July 2012; a free upgrade to all existing users. While software enhancements and upgrades are commonplace across the IT community, this one is significant for a number of reasons, according to Mark Witsaman, CTO, Globe Wireless. “This particular one (software upgrade) is a pretty big leap,” said Witsaman. 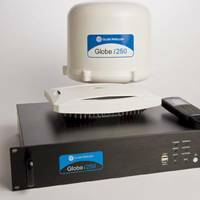 Globe Wireless, a provider of communications, operational and IT solutions to the maritime industry, announced the signing of a distribution agreement to sell Jotron B120 VSAT antennas to its maritime customers. This will be part of the Globe iFusion VSAT customized turnkey solution, combined with Inmarsat FleetBroadband, to provide high-speed broadband connectivity with true global coverage. The Jotron B120 is an innovative stabilized antenna offering a simple and clean design. Use of the latest technology allows for high performance from very compact and robust RF and electrical components. Globe Wireless, a leading provider of communications, operational and IT solutions to the maritime industry, today announced Marine Management Services (MMS) of Piraeus, Greece has selected the Globe iFusion as the communication solution for its fleet. Globe iFusion incorporates an Inmarsat FleetBroadband 250, a dual firewall, highly optimized IP connections and multiple least cost route gateways, allowing the user to make voice calls using GSM, send and receive email, and browse the Internet. Marine Management Services Selects Globe iFusion for their Fleet. Globe Wireless, a leading provider of communications, operational and IT solutions to the maritime industry, today announced Marine Management Services (MMS) of Piraeus, Greece has selected the Globe iFusion as the communication solution for its fleet. Globe iFusion incorporates an Inmarsat FleetBroadband 250, a dual firewall, highly optimized IP connections and multiple least cost route gateways, allowing the user to make voice calls using GSM, send and receive email, and browse the Internet. 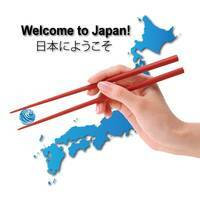 Globe Wireless Granted Blanket Wireless Radio Station License by the Japanese Ministry of Information and Communications. Globe Wireless, a leading provider of communications, operational and IT solutions to the maritime industry, today announced it has been granted a Blanket Wireless Radio Station License by the Japanese Ministry of Information and Communications. This license authorizes Globe Wireless to offer Inmarsat FleetBroadband mobile satellite communications services in Japan and on Japanese registered vessels. 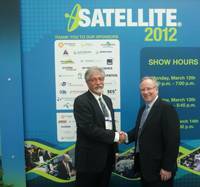 Globe Wireless (Globe) is very proud to announce the 100th installation of our VSAT solution. Globe Wireless began installing VSATs in May 2008 due to growing customer demand for increased bandwidth solutions. Globe continues to experience this increased demand and has accelerated its installation program from its large customer base. 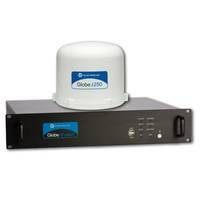 The Globe Wireless VSAT solution offers the full integration of business, crew, and onboard systems control, LAN segregation, VOIP, GSM, and VPN with its award winning Globe i250® hardware designed with built in data compression, web optimization, firewall and a Fleet Broadband 250 as a backup. Customers recognize that Globe Wireless has superior installation and ongoing support for its VSAT offering. Globe Wireless is pleased to announce that Don Wamsley has joined the company as the Senior Vice President of Customer Care. Mr. Kenneth Jones, Founder and CEO of Globe Wireless commented, “Globe Wireless strives to continuously improve all aspects of the services we provide our customers. The addition of Don to our senior management team reaffirms our commitment to this goal. 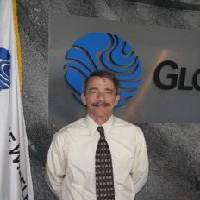 Prior to joining Globe, Mr. Wamsley previously managed the Global Technical Assistance Center for JDS Uniphase. Globe Wireless announced E.R. Schiffahrt of Hamburg, Germany will install the Globe iFusion solution on nearly 90 vessels. Roland Felbinger, Nautical Senior Superintendent, of E.R. 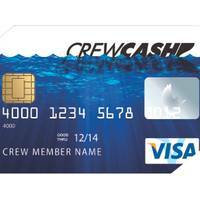 Schiffahrt commented, “Our corporate IT strategy is to utilize IP satellite technologies to improve our ability to remotely support shipboard IT systems, and lowering cost for growing traffic. Our evaluation showed that with most stand-alone terminals it would be necessary to install several other IT components. 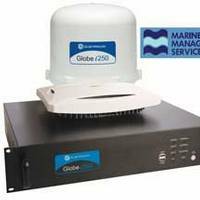 The Globe iFusion system was recently awarded the Inmarsat 2010 Maritime Solution of the Year award. Globe Wireless announced that Inmarsat has named Globe iFusion the 2010 Maritime Solution of the Year. Globe Wireless became a FleetBroadband Distribution Partner in January 2010. In September 2010 Globe iFusion was released, making Globe Wireless the only Distribution Partner that is also a type approved FleetBroadband equipment manufacturer. Chris D’Aguiar, Vice President of Sales & Marketing for Inmarsat, presented the award during the Inmarsat Partner Conference in Saigon, Vietnam. 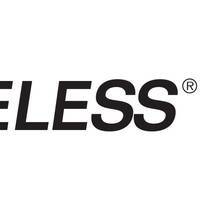 Globe Wireless announced that Thomas M. Black has been appointed CFO of the company. Black owned a successful consulting practice, providing financial and strategic guidance to maritime companies. He was a financial partner in Tatum, LLC, and also held multiple positions with Tropical Shipping, including Senior VP of Foreign Operations and CFO. He also served General Manager of Thompson Shipping and Director of Finance for International Shipping Partners. Black holds a Masters degree in Accounting from the University of Illinois and a Bachelor of Science from the University of Miami.